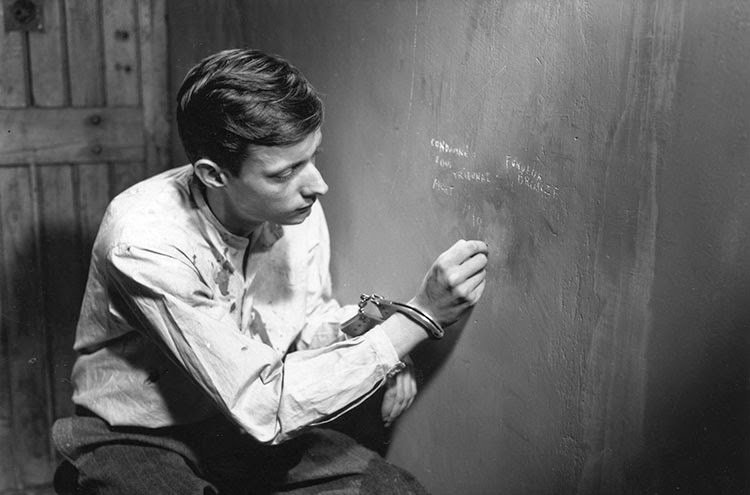 A Man Escaped is my first ever Robert Bresson film, and what an incredible way to start. I had no idea how literal the title would be here, as this truly is a story about a man trying to escape from start to finish, a work that thrives because of its minimalism rather than in spite of it. 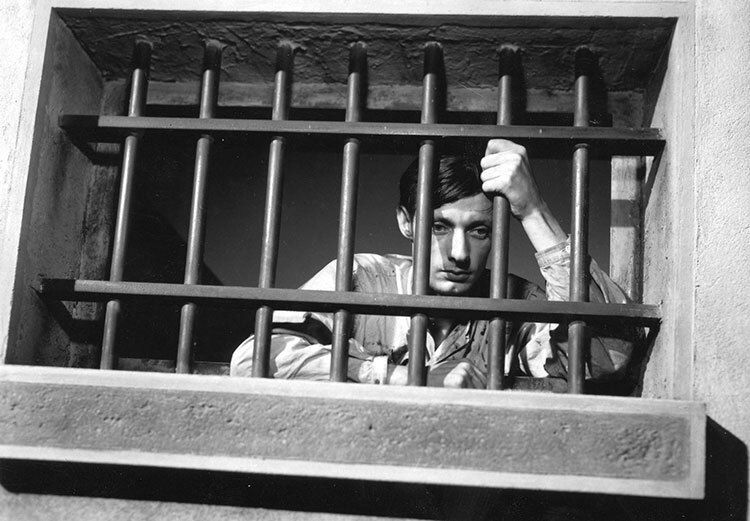 I have no idea what the typical Bresson style is and whether or not this film represents it, but I really appreciated the fact that throughout the entire work the focus stayed nearly primarily on the lead Fontaine besides a brief conversation or two amongst other inmates, but even then he was the basis of their words. Much of the film not only follows this one man on his quest to escape from prison, it takes place in the claustrophobic setting of his cell and you can really feel the confinement as you watch these sequences. After Fontaine discovers his less than ideal fate at his sentencing, the film introduces a new character that as a plot device is a stroke of genius, a cellmate for our protagonist which is a far bigger obstacle than simply being an intrusion into cramped quarters. How does one continue with their solo plan for escape when an unknown presence enters the situation, able to see their every move? I am guilty of being a film optimist and I am aware of this. I can't help it, while some are able to delve far deeper into a narrative and pick up the smallest of flaws, I will often times forgive these minor errors. After all, no film is truly perfect, right? A Man Escaped might be. I'm not sure of this, how could I be sure of this? It certainly feels perfect though. Looking back at every second of the film, I can't think of a single moment that didn't feel exceptional and inspired. 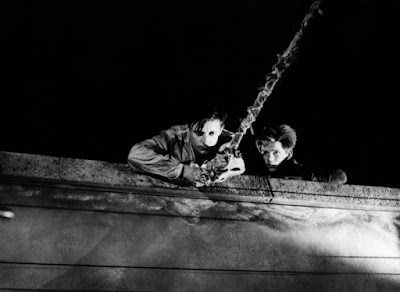 The final act in which the escape attempt finally takes place is a sublime example of building tension, and how it is achieved makes it even more impressive. As I slid forward to the literal edge of my seat, I realized this wasn't due to a musical score that was striking a chord with my nerves or frenetic editing to keep us updated on the movements of every guard on duty that could stand in the way of freedom. No, Bresson keeps the camera glued to the movements of Fontaine for most of the escape and we follow the potential threats by simply hearing their footsteps or the squeaking of a bicycle moving past. A truly brilliant example of the potential of cinema. I consider many, many films to be great, but A Man Escaped is something special.